I’d really meant to post this one before tonight, in order to include a plug for the Christmas Songwriters’s Club gig which probably finished about an hour ago. Like many, if not all, of my plans that one failed. Enough of me documenting my failures though, we don’t have nearly enough time for that, and on to some Christmas songs. We See Lights have turned up on the blog before with a Christmas song, but this time round they’ve (finally!) put out a collection of songs recorded way back in 2008, which I’ve been after for ages. Most of the songs have been aired at past Christmas Songwriters’ Club gigs in the past, hence the attempted and failed plug. 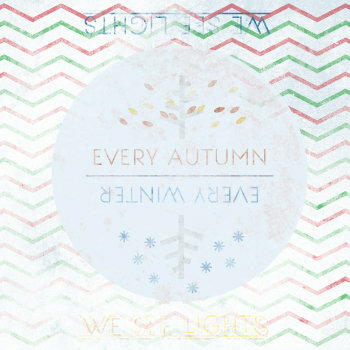 Anyway, get your copy of Every Autumn, Every Winter here for whatever price you fancy, or listen below. Since it’s kicking around in my uploads anyway, you can have a version of Cold Noses performed for a Vic Galloway session too.